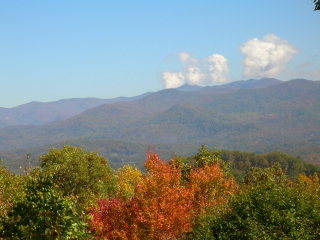 Mountain Valley View Vacation Rental Cabin won't blow your vacation budget. 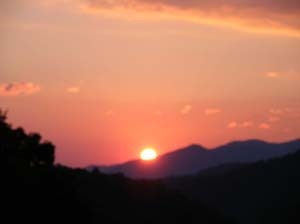 It is snuggled in the Great Smokey Mountains near the Cherokee Indian Reservation. 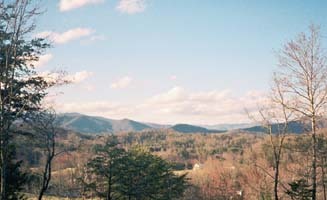 A 2 Bedroom cabin overlooking the 3200 acre tract of the Cherokee Indian Reservation, yet, still close to the major attractions of the Smoky Mountains & Blue Ridge Parkway. Enjoy your own private cabin at discount rates instead ofexpensive hotel lodging for the best vacation experience in the Great Smoky Mountains of North Carolina. If you want to be near Cherokee & Harrah's Casino, Bryson City, Nantahala, Waynesville, Maggie Valley, Asheville, Sylva, Dillsboro, or the Cataloochee ski slopes, we have the cabin for you. 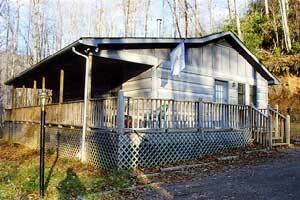 If Mountain Valley View Cabin is booked for your dates, check out these other cabins below.